Concrete furniture is not a recent innovation. 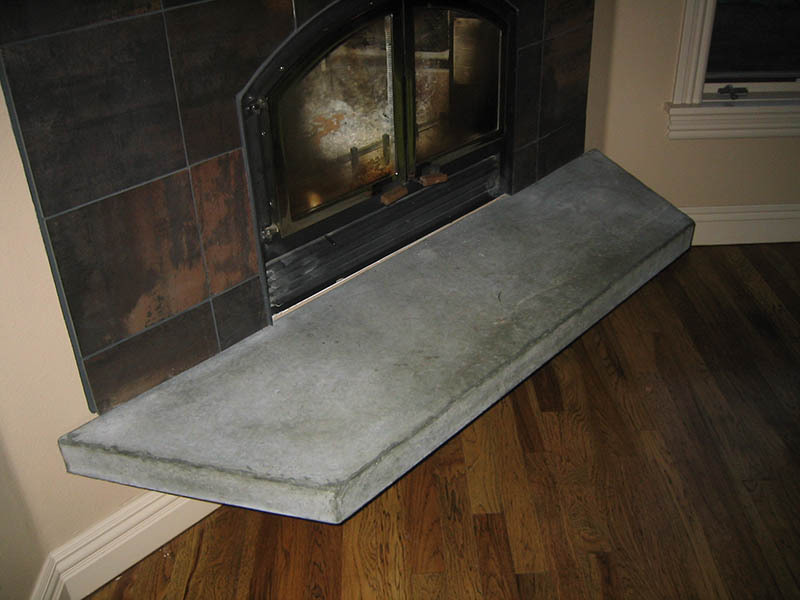 Thomas Edison—the inventor of the light bulb—came up with the idea of using concrete to make furniture back in 1911. To demonstrate, he made several pieces of furniture and Edison declared that his concrete pieces could be stained “to look like any type of wood desired.” Even though his novel idea didn’t catch on at the time, he proved to be right about the potential of concrete furniture. 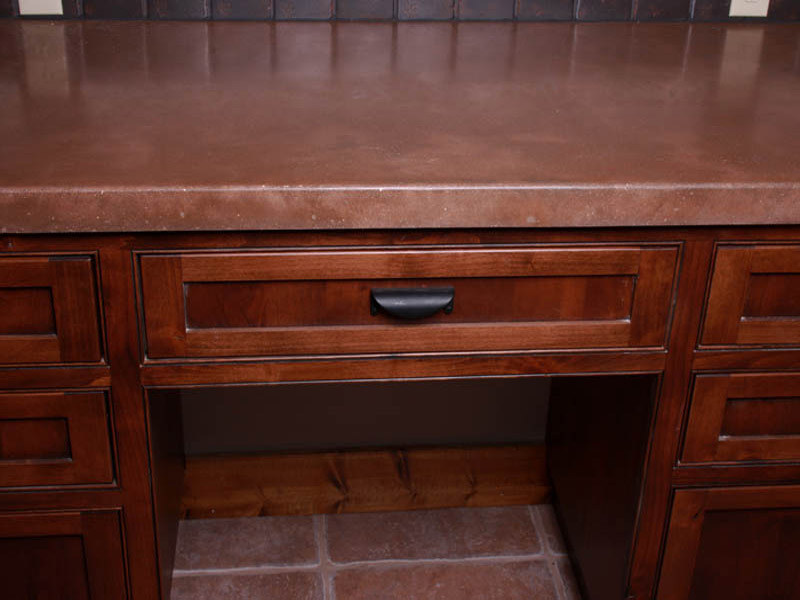 The flow and function of decorative concrete furniture will add style to any room. Not only does concrete furniture look great on a patio, but we are bringing it inside to mix with your interior lifestyle. The use of integral color, decorative inlays, and sculptured trim, offer a distinctive look. The creative possibilities are endless. Decorative concrete is versatile and can be designed to have traditional, soft, graceful curves and warm, soothing color tones. For a look that’s bold and contemporary, our designers can cast concrete into interesting geometric shapes and color it an array of bright, vivid hues. It can also be cast to accommodate any type of existing space restrictions. 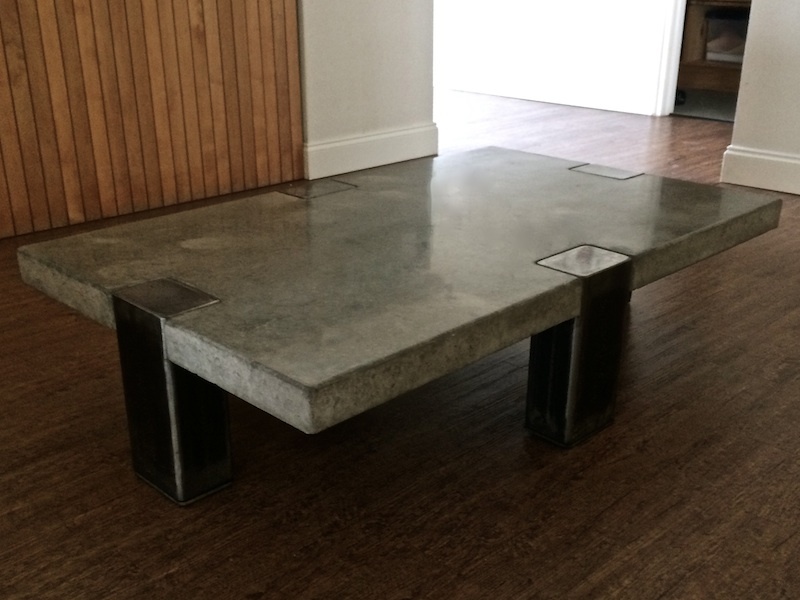 Concrete tables are one of the best ideas in decorative concrete design. These tables are solid and last forever; they are much more durable than wood. The subtle variations in texture and color derived from the process of mixing and curing the concrete give concrete a unique character. The weight of interior concrete furniture like dining room tables and other large pieces may be reduced with the use of Glass Fiber Reinforced Concrete, GFRC, without sacrificing the strength. 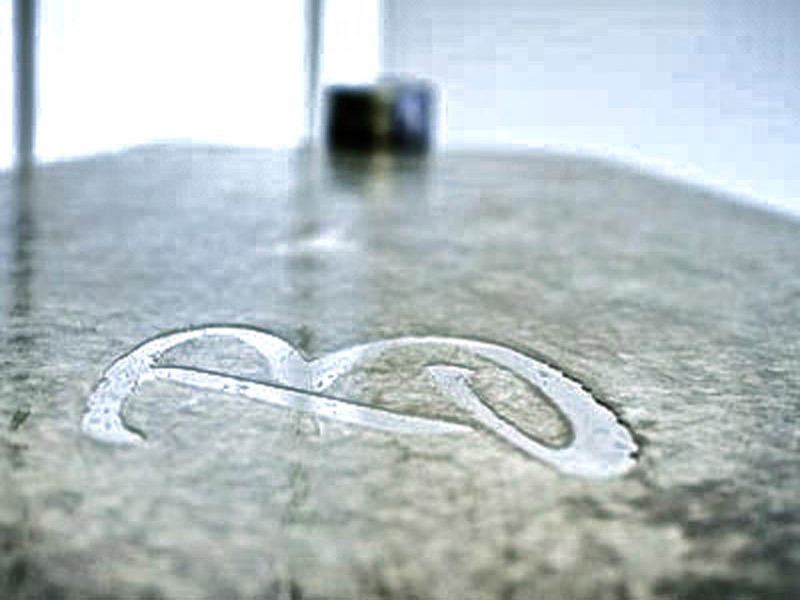 Concrete Creations would love to take you through the process of designing your first piece of concrete furniture. View our concrete furniture gallery.